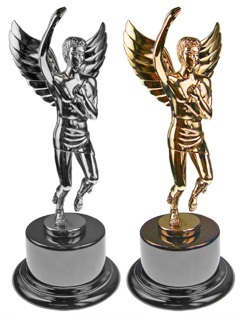 The MARION Integrated Marketing team has done it again, receiving not one, not two, but three Hermes awards! MARION was awarded two Platinum awards for the Clariant Innovator B2B Brochure and the Sinless Cycles B2C Website, and a Gold award for the Euky Brand Logo Redesign. The Hermes Awards are sponsored by the Association of Marketing & Communication Professionals and is the largest and most prestigious creative awards program for marketing and communication professionals in the world. MARION Integrated Marketing competed with over 4,400 entries from around the globe and we are very proud to receive this honor. Do you need Brochure Design Services, Houston Web Design Services, or Houston Logo Design Services? Get a Quote today by contacting us online!